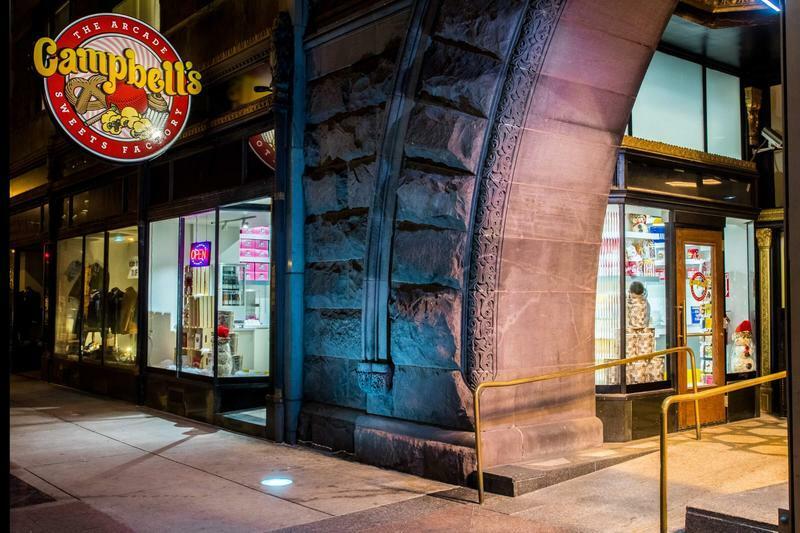 Moving forward in his fathers’ legacy, Jeff and his wife Lynn opened the first Campbell’s Popcorn Shop in Cleveland’s historic West Side Market in 2004. At that time, along with two of their daughters Holly and Bethany, they launched the business with only a microwave, a few bowls, cooking utensils and some raw products. With a lot of hard work, sweat equity, integrity, and a commitment to quality, they have seen the business grow and flourish. 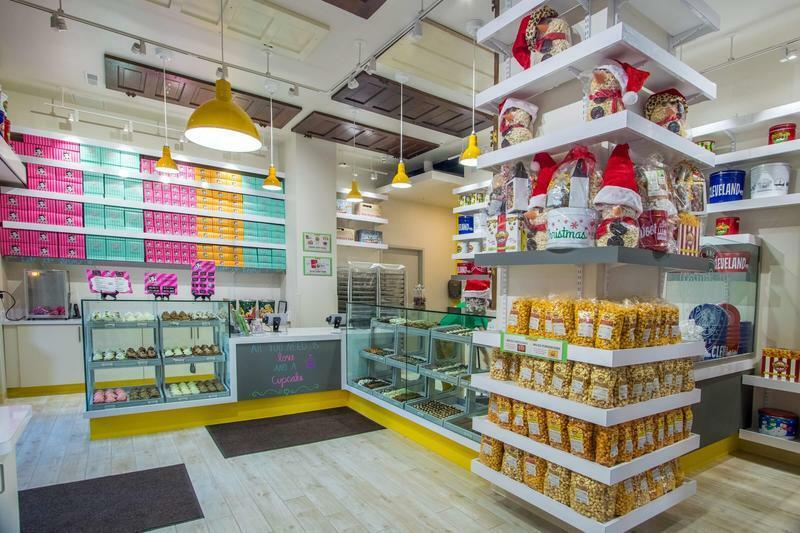 A few years later, the budding Campbell's Sweets company was expanded by opening another stand in the West Side Market—Grandma Freda’s Fresh Bake. (The stand was named after Jeff’s late mother Freda, who loved to bake.) Within just a couple of years, the bakery was selling more than 80,000 delicious “personal size” cupcakes per year. In 2012 the name of the stand changed to Grandma Campbell’s Cupcakes, and with continued growth in popularity, landed a spot in the 101 Best Cupcakes in America from TheDailyMeal.com in 2014. To this day Campbell's continues to sell all of their original delicious gourmet products in both of their stands at the West Side Market! Bursting at the seams trying to keep up with customer demand (especially for their award winning Dichotomy Corn), this catapulted the burgeoning Campbell's Sweets company into further expansion in August of 2011, when they opened the original “Campbell’s Sweets Factory” in Ohio City. Just down the street from the West Side Market, they were then able to supply customers 6 days a week, as well as maintain higher levels of production for all of their gourmet goods. A few years later, the business had grown to the point that they decided to open yet another “Factory” location in Lakewood, Ohio. In November of 2013, "Campbell’s Sweets Factory” in Lakewood was opened, and from the very beginning, they were overwhelmed by the amount of support they received from the community from both residents and other Lakewood businesses. As their business continues to grow, the delicious popcorn is now sold in not only their own (3) retail locations, but can also be found in several Giant Eagle stores, the Hard Rock Rocksino in Northfield Park, local Heinen’s locations, B.A. Sweetie’s candy warehouse and even CLE Hopkins International Airport (in their Hudson News stores)! In the near future, Campbell's Sweets Factory hopes to explore the opportunity to open a fun, interactive (but also efficient) production center so they can better supply the Cleveland area with the popcorn it loves, and the company is also exploring some exciting new retail venues! Campbell's Sweets remains excited to be a part of Cleveland’s growth and they hope to help with re-establishing a sense of hometown pride by providing a fun, energetic, smile-filled place where people can purchase hand-made, carefully-prepared, quality products at as low a price as possible—that’s how “Jupie” did it, and that’s how you "Keep Cleveland Sweet!"